Thanks to an anonymous tip, we’ve discovered that this crazy custom Volvo Amazon-Corvette mashup SEMA build is appearing in the upcoming Hobbs And Shaw movie. Excitement remains at fever pitch for gearheads awaiting the new Fast & Furious spinoff movie – Hobbs & Shaw. Staring Dwayne Johnson and Jason Statham as the title characters, the recently released trailer showcases all manner of automotive mayhem. Except, nobody has yet been up close with any of the film’s hero vehicles. Until now. Fresh from the mind of Jeff Allen, ‘Mr. 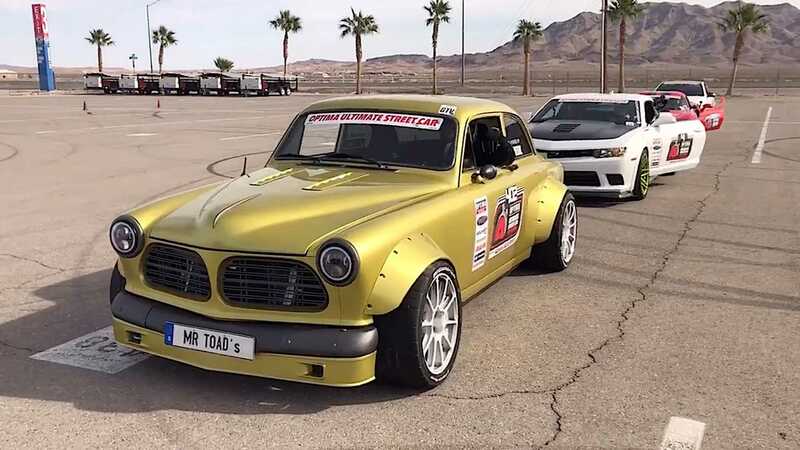 Toads Wild Ride’ comprises of a Volvo Amazon and Corvette Grand Sport. First seen during the 2018 SEMA show, the Motorious team previously discussed the vehicle’s looks and dubbed the creation worthy of a Fast & Furious installment. Capturing the eccentric nature of a restomod, we loved it! Now, we feel a little vindicated from the squinting-eyed skeptics who called that a ‘long shot’ speculation. We’ve found some easy-to-overlook evidence on social media supporting our notion. 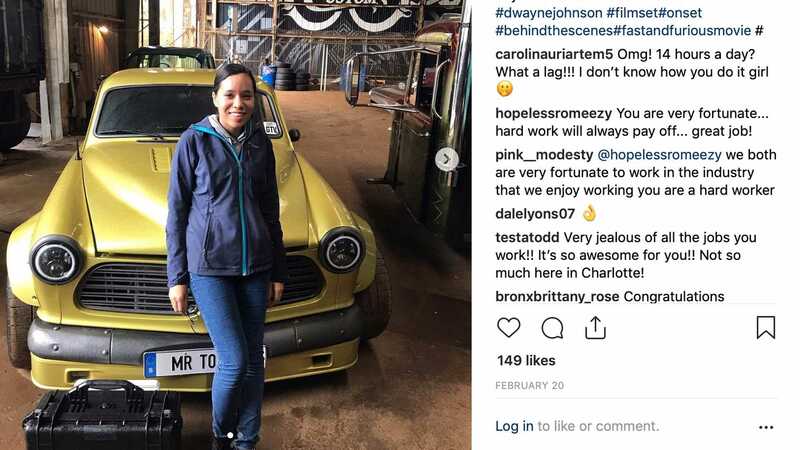 After an anonymous tip, we were pointed in the direction of an Instagram account used by a member of the Hobbs & Shaw production crew. While the movie isn’t coming out until August, it gave us a look at some cool behind-the-scenes footage. Then we noticed why the tipster sent us that way - there is was; ‘Mr. Toad’s Wild Ride’ V06 with accompanying “Hobbs Customs” sign behind it! Without a shadow of doubt, that is most definitely the car from the Las Vegas aftermarket show. Boasting such a unique stance, there’s no way there’s a second one of these out there. Originally designed on a bar napkin after some spirited talk courtesy of a few beers, Jeff Allen crafted the bespoke vehicle using a 1963 Volvo 122S Amazon and a crash-damaged 2013 Chevrolet Corvette Grand Sport. Installed with a Porsche-inspired cabin and LS7 Lingenfelter engine, the car is no show pony. The power is savage, according to Jeff himself. “Love it or hate it, you’ll have some kind of emotion with this car,” Jeff said in a previous statement about the car at SEMA. He did not, however, mention at the time that it would be in the upcoming summer Blockbuster. Allen instead detailed plans for a nationwide tour that would wrap up with the car being sold at Barrett-Jackson, but a thorough inventory search doesn’t indicate that it has been auctioned through the company quite yet. As for its’ role in the film, we’ll have to wait for the motion picture’s global release. What we can tell you is this: the producers would be foolish not to give it as much screen time as possible.